George Lucas needed 22 years to get from the first Star Wars film to the fourth. In contrast, Disney required only 29 months to go from their initial Star Wars release to their fourth, May 2018’s Solo: A Star Wars Story. That rapid-fire schedule will likely slow, largely due to the less than stellar box office receipts earned by Solo. Prior to 2018, each Star Wars movie except for 2002’s Attack of the Clones became its year’s biggest money-maker. Clones wound up in third place for 2002. As I write in September, Solo stands in eighth place for 2018, and there’s a zero percent chance it stays in the top 10 once all is said and done. A finish outside the year-end top five seems bad for a Star Wars film, so a standing outside the top ten looks catastrophic. None of which really relates the film itself, which I don’t think deserves all the negative press attached to it. No one will mistake Solo for one of the franchise’s best, but on its own, it turns into a fairly spiffy adventure. 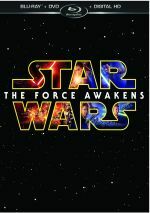 Han Solo (Alden Ehrenreich) grows up on the planet Corellia and seeks to escape his birthplace. Along with girlfriend Qi'ra (Emilia Clarke), he obtains coaxium, a valuable fuel source, and tries to use it to get off the planet. A mix of complications ensue, and Han and Qi’ra wind up separated. Han swears he’ll return to find her, and this task leads him through a slew of not-so-legal adventures. 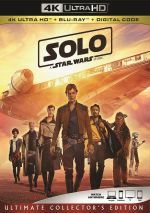 That simplifies the overall narrative, as Solo takes us through a mix of worlds and escapades, all with an expanding roster of characters old and new. As a prequel, Solo exists to connect the 20-something Han to the 30-something guy we meet in Star Wars, and it does this in a reasonably efficient manner. Most importantly, Solo shows how Han meets bestie Chewbacca (Joonas Suotamo) as well as ongoing frenemy Lando Calrissian (Donald Glover). With any story that goes through as much “retconning” as any of the Star Wars prequels, not all of the backstory will make sense, bit Solo connects the dots in a reasonably engaging manner. Which is how Solo does pretty much everything else, which leads one to wonder why it underperformed so starkly at the box office. Let’s not go crazy and call Solo an objective bomb, as even in 2018, one shouldn’t sneeze at a US take of $213 million. Nonetheless, even without adjustment for inflation, that’s the weakest gross of any Star Wars film, and with a budget padded by reshoots connected to a change of director, Solo cost a ton of money to make. Unquestionably, it won’t even come close to a profit. But it did find an audience – it was just a smaller than usual audience. The question of why so many fans skipped Solo keeps Disney executives up at night. Some blame fanboy backlash to the semi-controversial Last Jedi, and others think market oversaturation caused the weak receipts. Both may play a factor, but I think simple disinterest in the basic story at hand became the major issue. I’ve been a Star Wars fan for 41 years, and at no point did I ever feel the need to know a whole lot about Han’s history. Oh sure, it’s fun to have some rudiments of who he is and how he became a space pirate, but did I crave a two-hour-plus movie about the subject? Not really, and I think that general “meh” reaction hit a lot of others as well. As a lifelong Star Wars fan, I dutifully saw Solo in theaters, but unlike its three Disney-issued predecessors, I didn’t go opening night. I waited a few days and even then went more because I had time to kill, not because I felt excitement. Once I landed in my seat, though, I largely enjoyed what I saw. Solo takes a while to get going, but once it finds a groove, it brings us a fun tale. The movie’s main weaknesses come from its romantic plot, as the Han/Qi’ra narrative feels stiff and unconvincing. Neither Ehrenreich nor Clarke embody their roles with much verve, so their on-screen chemistry becomes negligible. This doesn’t mean either flops in their parts, as both Ehrenreich and Clarke offer competent work. However, I can’t claim either brings a lot of life to the movie, so their roles remain workable but a bit flat. I recognize it sounds like a fatal flaw to claim that a film’s primary dramatic thrust doesn’t work, but Solo throws more than enough at us to overcome the drab nature of the Han/Qi’ra dynamic. A strong supporting cast certainly helps. Unlike Ehrenreich, Glover delights, as he manages to evoke Billy Dee Williams’ take on Lando without a sense of simple imitation. Glover conveys the character’s oily charm in a terrific way that makes him an onscreen force whenever he appears. Among the new roles, Woody Harrelson stands out as criminal gang leader Beckett. He doesn’t stretch his legs in the part, but all these decades into his career, Harrelson has become money in the bank, so he brings charm and power to the part. Director Ron Howard rarely excels as a filmmaker, but like Harrelson, the cinematic veteran brings consistent competence to the table, and he manages a bit more spark than that here. Unlike Rian Johnson with Last Jedi, Howard doesn’t take any obvious chances, but he gives Solo the sense of adventure and excitement it needs. All of this seems like enough to turn Solo into a likable tale. 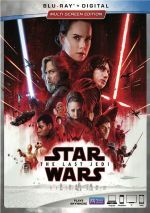 No one will mistake it for one of the Star Wars franchise’s best efforts, but it becomes a solid piece of entertainment. Solo appears in an aspect ratio of approximately 2.39:1 on this Blu-ray Disc. This became a largely appealing presentation. When I saw Solo theatrically, I worried that something went wrong with the projection, as the movie seemed dark - really dark. I literally found it difficult to discern the on-screen action, as the murkiness of the image made it tough to see much. 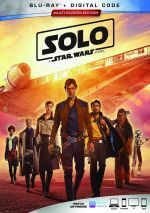 Seen on Blu-ray, Solo remained dark, but not woefully dark ala the screening in took in last May. At times, the many low-light shots could be a smidgen difficult to make out, but they usually showed nice delineation, a far cry from the murk-fest I witnessed a few months ago. Everything else about the image worked well, and sharpness showed appropriate definition. A few wider shots could be a smidgen soft, but most of the film seemed accurate and concise. I saw no signs of jagged edges or moiré effects. Neither edge haloes nor source flaws marred the presentation. Given the dark orientation of the photography, one should expect a subdued palette, and the colors of Solo largely followed suit. We got a mix of golds and oranges and blues, mostly, and these seemed well-rendered. Blacks stayed deep and rich, factors that seemed unusually important given the nature of the cinematography. I still wish they’d boosted the lighting a bit, but this was mainly a strong visual presentation. No qualms greeted the dynamic DTS-HD MA 7.1 soundtrack, as the mix made vivid use of all available speakers to create an involving, immersive experience. With lots of battles and space components, the information popped up in logical places, meshed together smoothly and created a wonderful sense of the situations. The soundscape was consistently an active presence and really brought us into the story. In addition, audio quality excelled. Speech was natural and distinctive, while music sounded robust and full. Effects did the heavy lifting and added real punch to the package; with clean highs and deep lows, those elements sounded great. I couldn’t have asked much more from this impressive soundtrack. All the set’s extras appear on a second disc, and these launch with a Director and Cast Roundtable. It fills 21 minutes, 44 seconds with a panel that features director Ron Howard and actors Alden Ehrenreich, Emilia Clarke, Woody Harrelson, Donald Glover, Thandie Newton, Paul Bettany, Joonas Suotamo and Phoebe Waller-Bridge. The actors discuss getting cast in the film, fan experiences, perspectives on their characters, and various anecdotes. We hear allusions to the massive production issues but nothing concrete, and “Roundtable” tends to emphasize happy talk. We get some fun stories but the whole thing feels superficial. With Kasdan on Kasdan, we get a seven-minute, 50-second reel with Howard, Lucasfilm president Kathleen Kennedy, and screenwriters Lawrence and Jonathan Kasdan. The featurette discusses the working relationship among father Lawrence and son Jonathan as well as their impressions of various things Star Wars. It becomes a fairly good piece. The iconic ship comes to the fore with Remaking the Millennium Falcon, a five-minute, 36-second show with Glover, Lawrence Kasdan, Howard, Suotamo, Ehrenreich, set decorator Lee Sandales, design supervisor James Clyne, co-producer Jon Swartz, production designer Neil Lamont, supervising art director Alastair Bullock, and assistant art director Liam Georgensen. They discuss revamping the Falcon to suit the days Lando owned it. We find some useful facts, and a Glover-led tour offers value as well. During the Escape from Corellia, we hear from Lawrence and Jonathan Kasdan, Lamont, Clyne, Howard, Sandales, Ehrenreich, producer Simon Emanuel, visual effects supervisor Rob Bredow, senior art director Gary Tomkins, special effects supervisor Dominic Tuohy, stunt performer Ben Collins, animation supervisor Matthew Shumway, and supervising sound editors Matthew Wood and Tim Nielsen. In this show, we learn about a mix of choices made for the Corellia set, with a strong emphasis on aspects of the chase sequence. It becomes a strong take on the topic. Another action scene comes to the fore via The Train Heist, a 14-minute, 30-second piece with Lawrence and Jonathan Kasdan, Emanuel, Howard, Swartz, Clyne, Bredow, Ehrenreich, Newton, Wood, Nielsen, Shumway, Tomkins, senior model maker Paul Marsh, production manager Nick Fulton, director of photography Bradford Young, visual effects producer TJ Falls, and action vehicles chargehand Charles Jellis. We learn a slew of elements connected to the scene in question, and find a broader focus than the fairly effects-specific “Corellia”. “Heist” delivers another engaging and informative piece. Our favorite Wookiee comes to the fore in the six-minute, 41-second Team Chewie. It delivers notes from Howard, Lawrence and Jonathan Kasdan, Suotamo, Aldenreich, Nielsen, Scanlan, supervising animatronic designer Maria Cork and fight coordinator Guillermo Grispo. As expected, we learn aspects of the ways the cast and crew brought Chewie to life. It seems a bit brief – I’d like to hear more from Suotamo about acting in the suit – but it provides a sufficient overview. Becoming a Droid: L3-37 fills five minutes, six seconds with comments from Howard, Emanuel, Clyne, Waller-Bridge, Glover, Falls, Bredow, Wood, visual effects supervisor Patrick Tubach, digital artist supervisor Karin Cooper, and costume designers David Crossman and Glyn Dillon. The movie’s new droid gets the spotlight and the show discusses different elements of L3-37’s design and execution. This turns into another fairly satisfying program. Scoundrels, Droids, Creatures and Cards: Welcome to Fort Ypso lasts eight minutes, two seconds and includes Ehrenreich, Lamont, Lawrence Kasdan, Harrelson, Young, Glover, Sandales, Scanlan, Swartz, Waller-Bridge and Sabaac trainer Steven Bridges. Fort Ypso offers the Mos Eisley-esque part of the film, and “Scoundrels” digs into its various choices. It follows the other clips well. Finally, Into the Maelstrom: The Kessel Run spans eight minutes, 28 seconds and involves Jonathan Kasdan, Bredow, Waller-Bridge, Howard, Swartz, Wood, Nielsen, Shumway, and Clyne. If you expect an overview of the Kessel Run sequence, you’ll find what you anticipate. The show follows the subject matter nicely, just like its siblings. Eight Deleted Scenes take up a total of 15 minutes, 13 seconds. Through these, we see a little more of Han and Qi’ra on Corellia, and we get additional footage of Han’s stint with the Empire. Our intro to Chewie runs longer, and a few other minor tidbits appear. Of the bunch, the view of Han as an Imperial pilot becomes the most fun. That’s really the only scene I could argue should’ve made the final cut, as the rest remain interesting but inconsequential. The second franchise spinoff, Solo: A Star Wars Story seems destined to be viewed as a bomb, but the movie actually works pretty well. Director Ron Howard imbues the film with enough adventure and charm to make it an engaging, lively experience. The Blu—ray boasts very good picture and audio along with a largely informative set of supplements. Solo becomes a solid expansion of the Star Wars universe.